Mushrooms – tasty or deathly? Let’s take a look at a basic program of Chainer to see how it works. For a dataset, we’ll work with Kaggle’s edible vs. poisonous mushroom dataset, which has over 8,000 examples of mushrooms, labelled by 22 categories including odor, cap color, habitat, etc., in a mushrooms.csv file. How will Chainer learn which mushrooms are edible and which mushrooms will kill you? Let’s see! The code below is from the glance example in the examples/glance directory. Let’s start the program. Here are the typical imports for a Chainer program. chainer.links contain trainable parameters and chainer.functions do not. 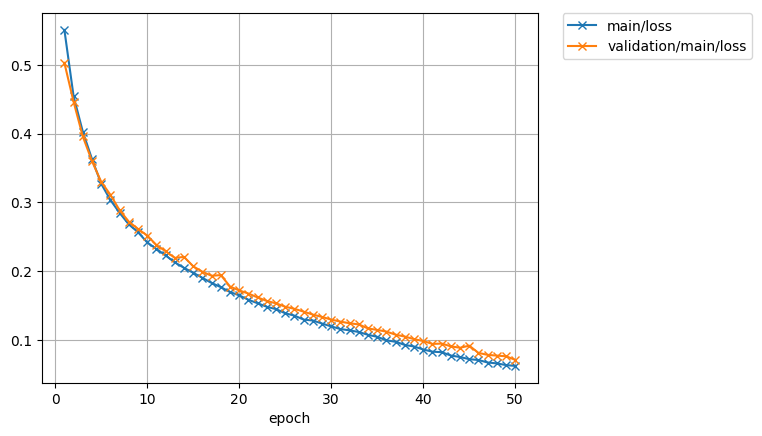 We’ll use Matplotlib for the graphs to show training progress. Each of the components is fed information from the components within it. Setting up the trainer starts at the inner components, and moves outward, with the exception of extensions, which are added after the trainer is defined. Our first step is to format the dataset. From the raw mushrooms.csv, we format the data into a Chainer TupleDataset. Configure iterators to step through batches of the data for training and for testing validation. In this case, we’ll use a batch size of 100. For the training iterator, repeating and shuffling are implicitly enabled, while they are explicitly disabled for the testing iterator. Next, we need to define the neural network for inclusion in our model. For our mushrooms, we’ll chain together two fully-connected, Linear, hidden layers between the input and output layers. As an activation function, we’ll use standard Rectified Linear Units (relu()). Using the Sequential allows us to define the neural network model in a compact format. Since mushrooms are either edible or poisonous (no information on psychedelic effects!) in the dataset, we’ll use a Link Classifier for the output, with 44 units (double the features of the data) in the hidden layers and a single edible/poisonous category for classification. Pick an optimizer, and set up the model to use it. Now that we have the training iterator and optimizer set up, we link them both together into the updater. The updater uses the minibatches from the iterator, and then does the forward and backward processing of the model, and updates the parameters of the model according to the optimizer. Setting the device=-1 sets the device as the CPU. To use a GPU, set device equal to the number of the GPU, usually device=0. Set up the updater to be called after the training batches and set the number of batches per epoch to 100. The learning rate per epoch will be output to the directory result. Use the testing iterator defined above for an Evaluator extension to the trainer to provide test scores. If using a GPU instead of the CPU, set device to the ID of the GPU, usually 0. 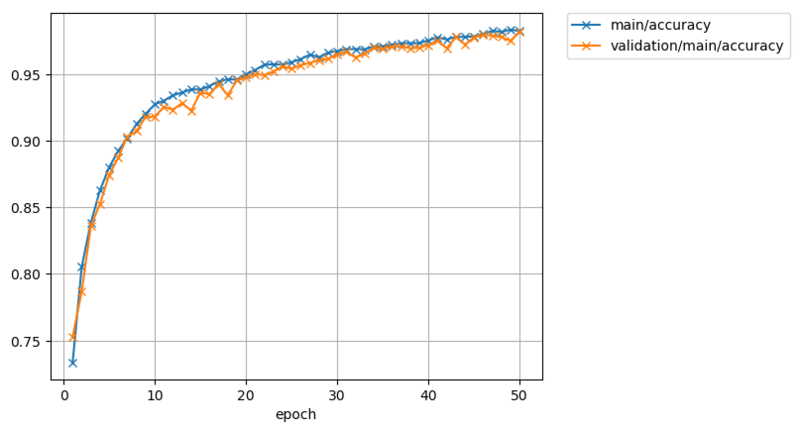 Save a computational graph from loss variable at the first iteration. main refers to the target link of the main optimizer. The graph is saved in the Graphviz’s dot format. The output location (directory) to save the graph is set by the out argument of trainer. # The "main" refers to the target link of the "main" optimizer. Take a snapshot of the trainer object every 20 epochs. Write a log of evaluation statistics for each epoch. Save two plot images to the result directory. Print selected entries of the log to standard output. Our prediction was correct. Success!